Americans love their Thanksgiving turkey meals and we love our ugly sweaters! This year you can combine the two, sort of. We have found some cute Thanksgiving ugly sweater shirts that will be fun for the entire family to wear during the Thanksgiving holiday season. We have some Thanksgiving ugly sweater shirts for the cooking team and the eating team. So whether you are a cook or a pilgrim, there is a shirt for you! This is the perfect shirt for those people who always tend to wear as much of their meals as they eat. 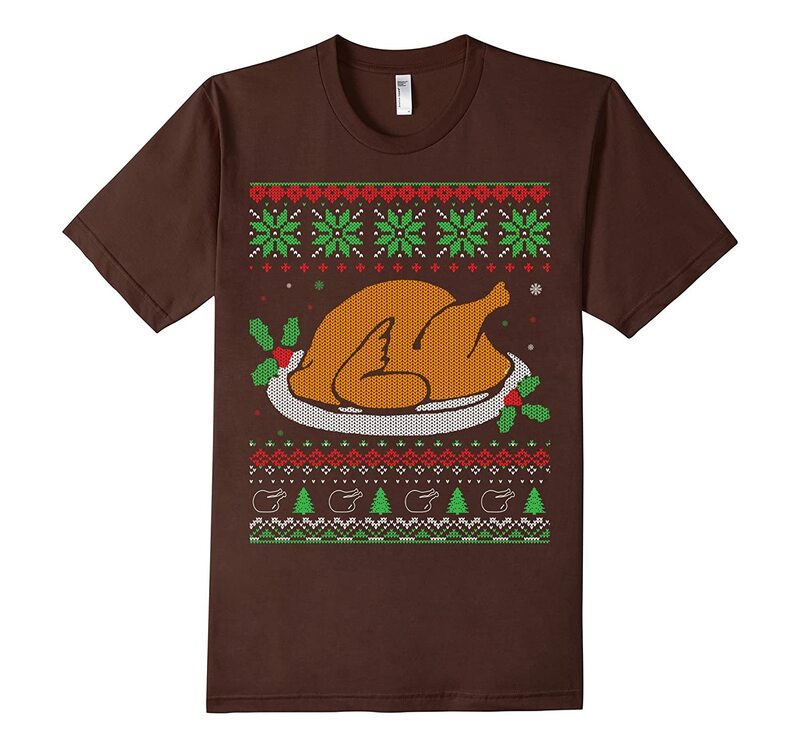 This fun turkey all dressed up on a Thanksgiving ugly sweater shirt might be perfect for the head of the clan. Teens and young adults have their own style and might prefer the cooler versions of the Thanksgiving ugly sweater shirts.